Since January, Dundee studio Tag Games has been handling the live operations on flaregames' Nonstop Knight. The idle RPG was originally developed by Kopla Games and released by publisher flaregames in June 2016, quickly becoming the latter's most successful launch ever. At less than a year old and with flaregames remaining deeply involved, Tag Games clearly sees that the game has plenty of life left in it and is keen to be a part of its continued success. But more significantly, it's also the perfect way for the Dundee outfit to kick off its live ops business - a novel, new direction for a studio whose dual pillars have traditionally been original IP development and work-for-hire projects. Tag Games' introduction to live ops came in 2011 when it launched its first free-to-play title Funpark Friends. “We had a view even back then that the structure of a team when you're running a game in that live phase is very different to how you structure standard development,” recalls CEO Paul Farley. “If we are in the right place at the right time and we hit that title that really runs away with itself, how do we double down on that? What do we need in place in terms of people and structure? This is something that not many developers - if any - are doing. 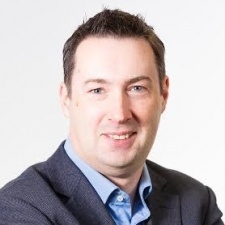 This has stood Tag Games in good stead to scale up its live ops business, but the idea to take on live games in partnership with other developers is a relatively new one. From conversations with developers so far, Farley reports that it's an idea that's been warmly received by the community. “This is something that, as far as we can tell, not many developers - if any - are doing,” he enthuses. 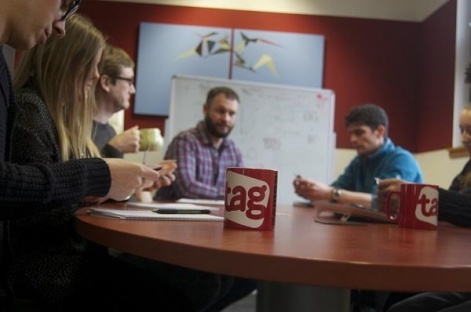 Tag Games will continue to develop its own IP and work-for-hire projects for the foreseeable future, with its live ops business “a really interesting string to our bow” but not its raison d'être. In an ideal world, Farley explains that he would like the studio to be in a position where 50% of revenues come from live ops and the other 50% is split between original IP and work-for-hire. “I'd like to double, triple what we're doing in live ops this year,” he goes on. Farley believes that the mobile games industry is crying out for a service like this, particularly the smaller developers who find themselves running a profitable live game but want to focus on new projects. Some fresh blood with new ideas can really breathe a huge amount of new life into a title. “Companies like Gameloft have multiple large studios dotted around the world, and they clearly have a process in place for managing the lifespan of their games,” he considers. “I would imagine we will be working with a lot with developers who don't have that capacity. As it stands, he believes that there are games brought to a premature end simply because their developers lack the means or motivation to continue running live ops. But of course, this new live ops approach also has benefits for Tag Games. As well as diversifying its business and providing a new revenue stream, Farley believes that the insights the studio can gain from working with these games will prove invaluable. “We've had a lot of success, but a lot of that's been for other people and has been fairly hidden,” Farley states. “Tag still doesn't have that hit game of our own, and that's something we continue to feel driven towards and that's something we want to achieve. As such, a scaled-up live ops division with an advanced understanding of market trends and player behaviour benefits not only Tag Games' clients, but Tag Games itself. So Nonstop Knight is just the beginning for Tag Games, with the studio hitting upon a strategy that's been met with enthusiasm and has minimal competition. But will external live operations be a service that's more widely-offered in the near future? Farley believes so. You can learn more about Tag Games' live operations services on its website.